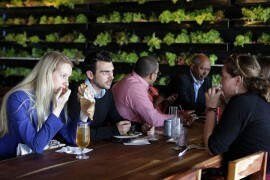 Eating out is not just about the right gastronomic experience and the many culinary delights that surprise you. 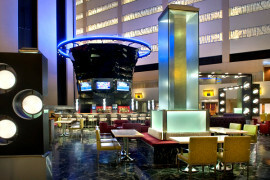 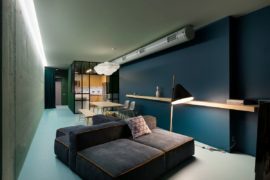 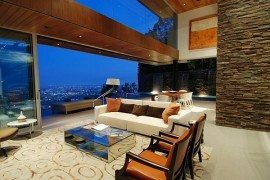 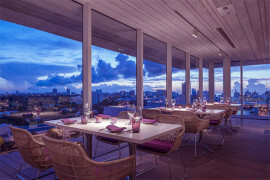 It is often about the entire experience that also includes the ambiance of the space and view on offer. 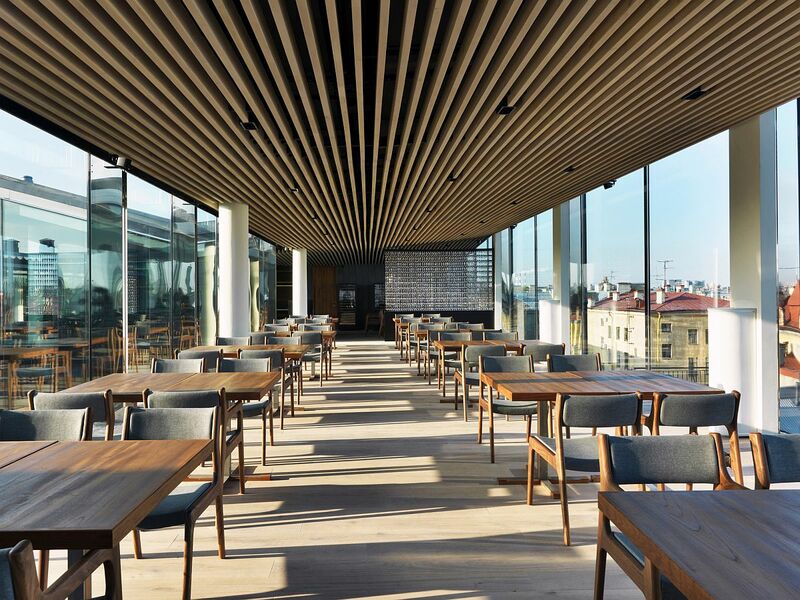 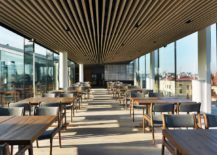 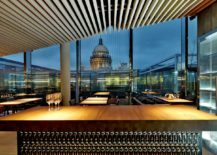 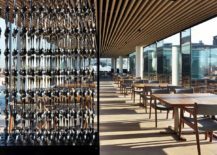 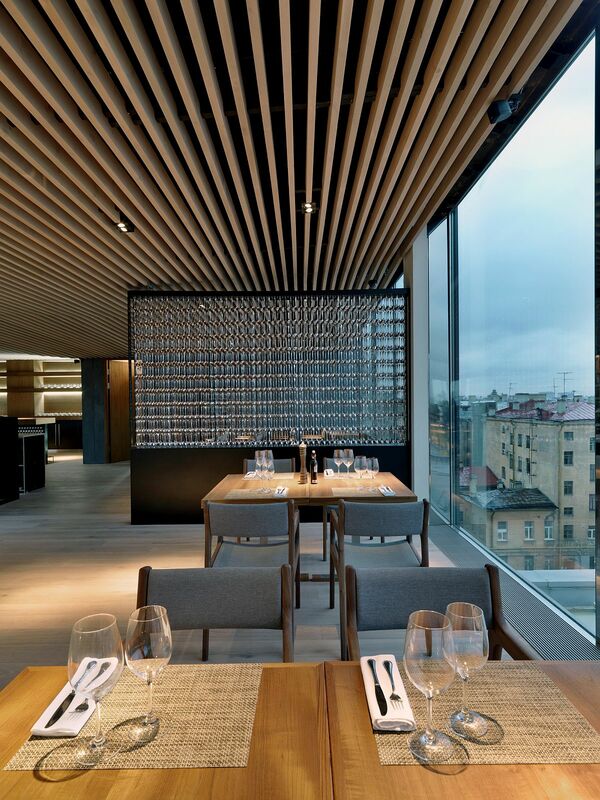 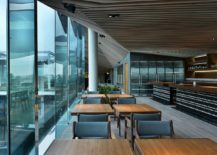 Home to Russia’s ‘gastronomic revolution’, St. Petersburg is the latest setting for the stunning Mansarda Restaurant that sits atop the renowned Gazprom Headquarters. 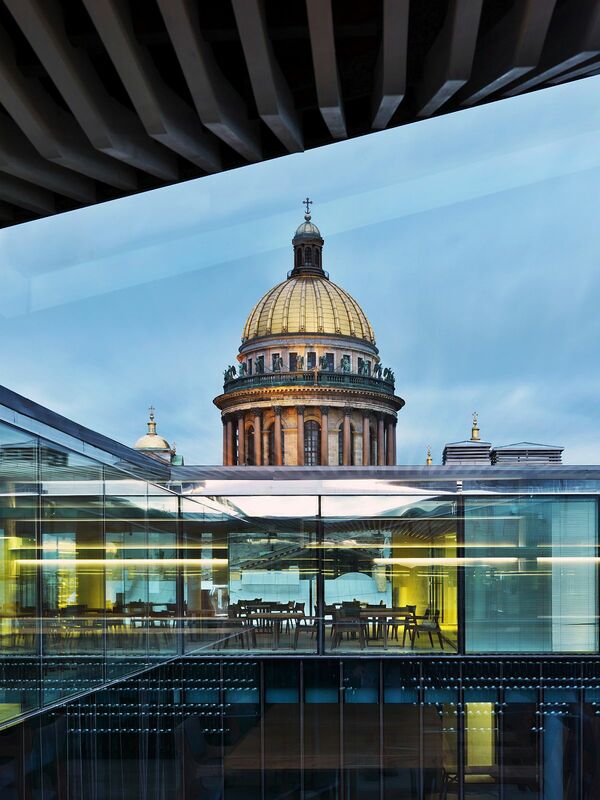 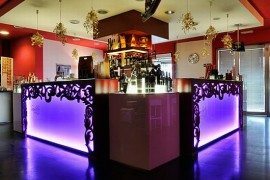 Spread across 1000 square meters, this dashing restaurant offers mesmerizing views of the city along with a perfect vantage point to take in the splendor of St. Isaac’s Cathedral at its imposing best. 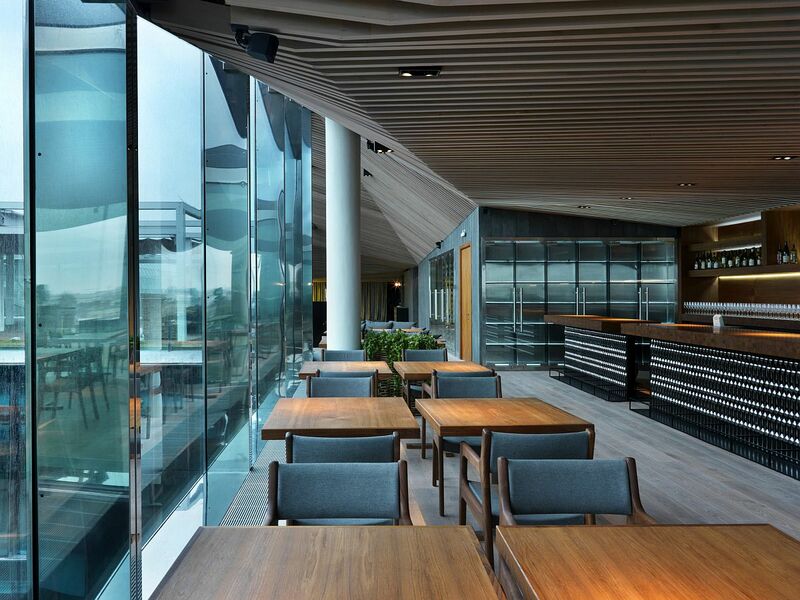 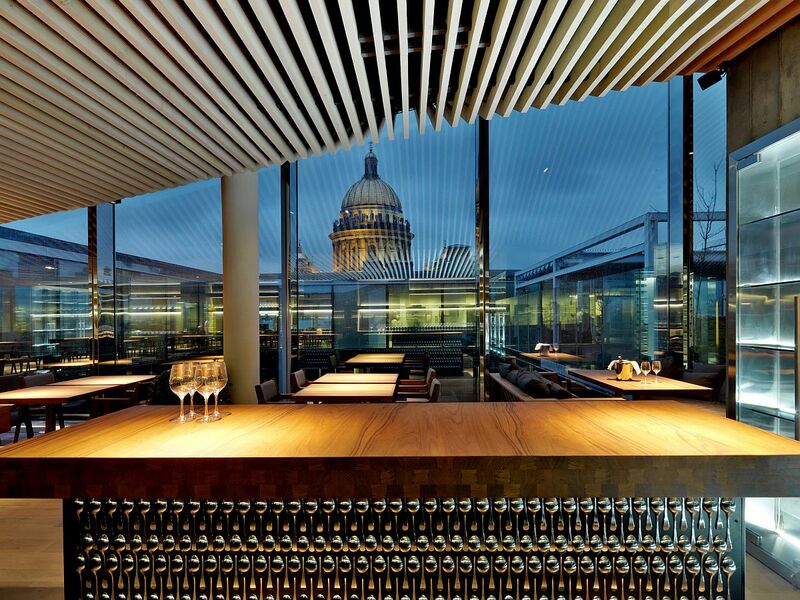 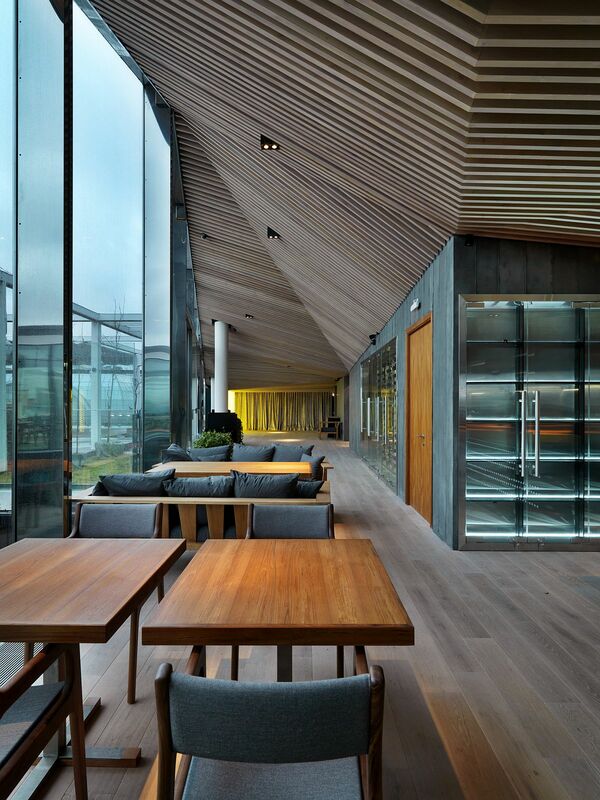 With walls of glass, the restaurant promises views that as amazing as the food it serves! 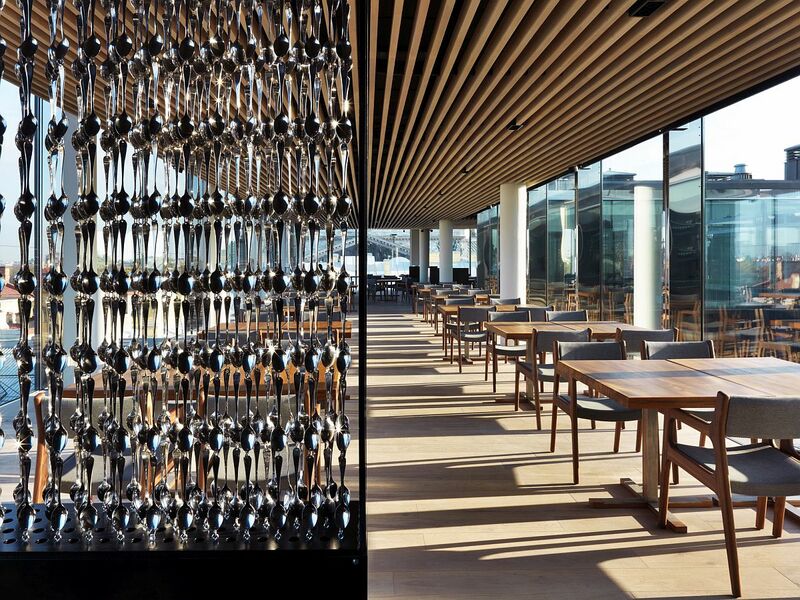 Designed by Piuarch, the sparkling restaurant moves away from the mundane with an interior that is both sculptural and playful. 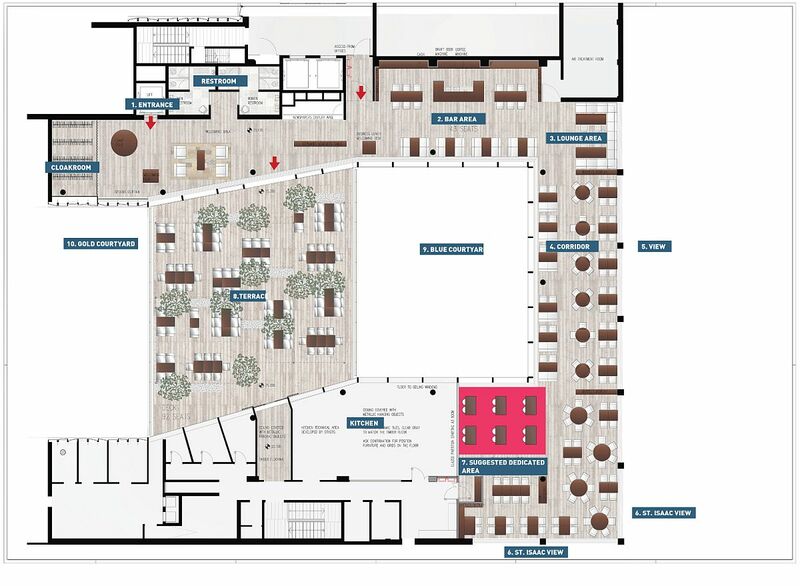 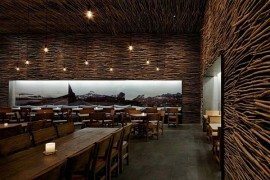 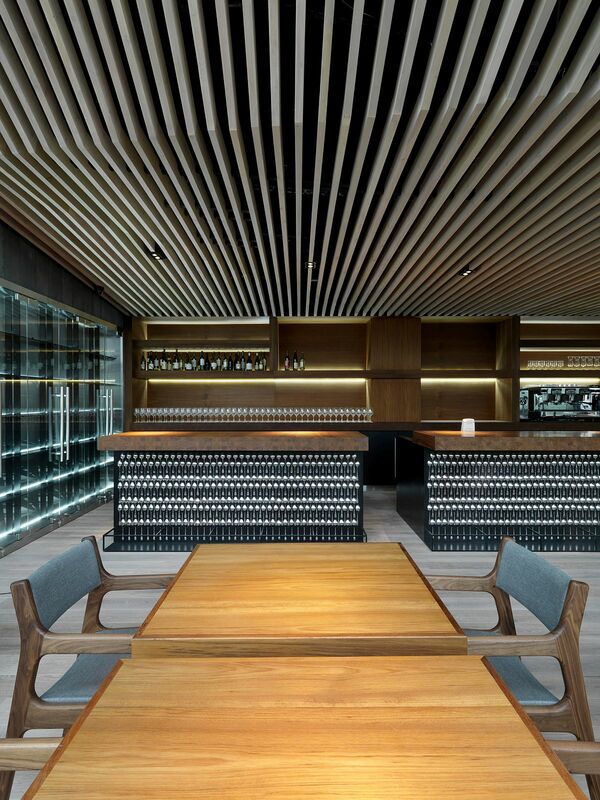 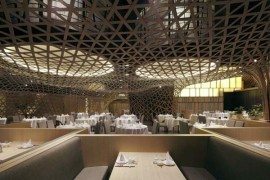 It is the ceiling of the space that instantly steals the show with its three-dimensional, geometric design and neatly spaced oak strips that give it a dynamic appeal. 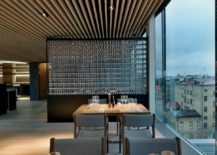 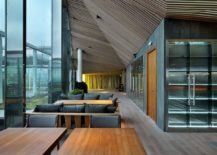 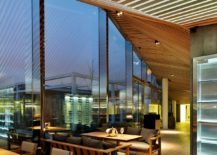 Vertical rectangular glass panels placed at different angles add another intriguing visual to this Russian restaurant even though it might still be the panoramic scenery outside that garners your first attention. 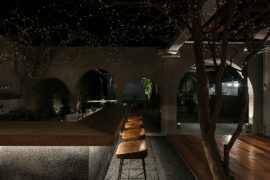 A flood of natural light during daytime and sparkling city lights at night enhance the atmosphere further. 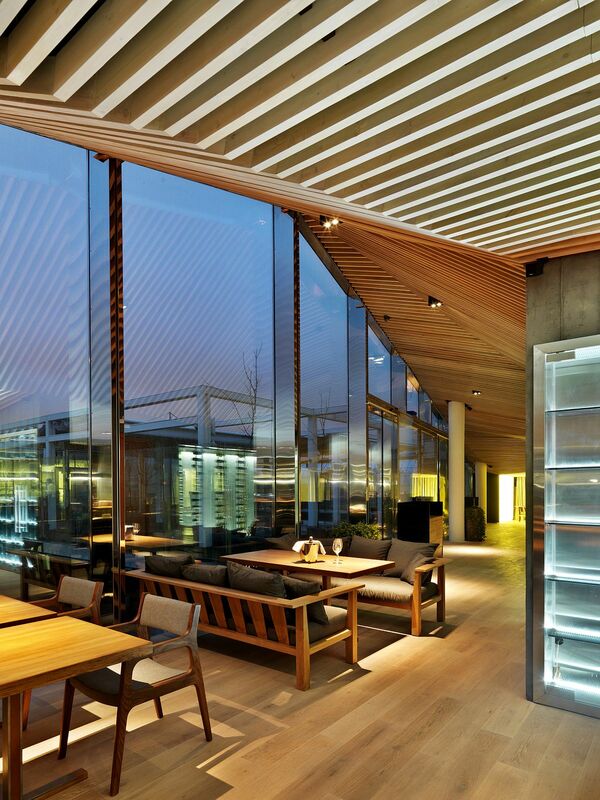 Moyo Restaurant: Sustainable Agriculture Meets Modern Architecture!